Yesterday afternoon as i went to the beach with the cross just outside the entrance of the caravan park there was loud music and there was a lot of people drinking and partying in the parking lot on the beach front. 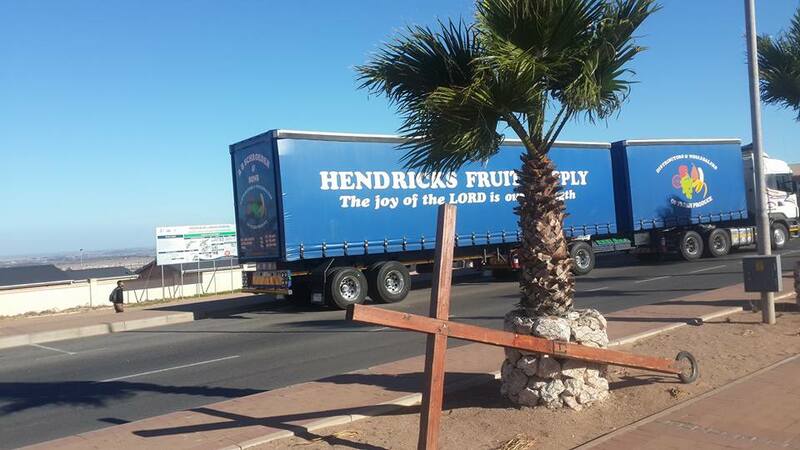 Holy Spirit told me to go walk there with the cross. Some will say don’t cast your pearls before the swines, other will say how can you mix with these kinda people. i said Lord you sure as i was well aware of the possibility of being mocked and sworn at by this crowd. Holy Spirit said GO and share MY LOVE with them. As i walked among then i heard some shouting towards me and ignored it. Got to the end of of parking lot and turned around to walk out. 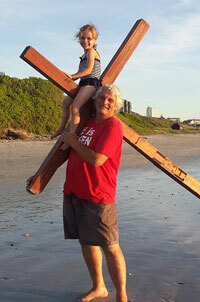 As i started walking back people started responding to me as i walk with the cross. Many approached me some in there drunken state wanted photos with me. The guy in the white tshirt held onto the cross rocking with it at the beat of the load music. 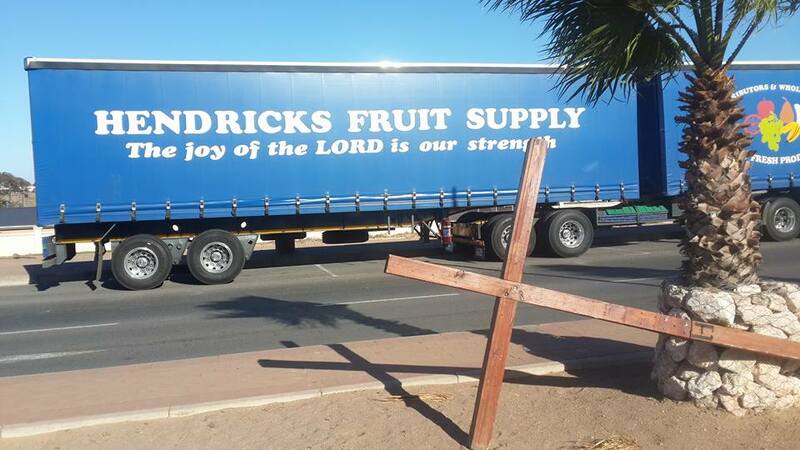 A well dressed lady say she knows she drunk a Christian but needs prayer asked for my number and want to call me for council when she is sober. Another man also asked for prayer. a few came and thanked me for coming to share the Love of Jesus with them as they cant believe any Christian would come there to tell them about God. 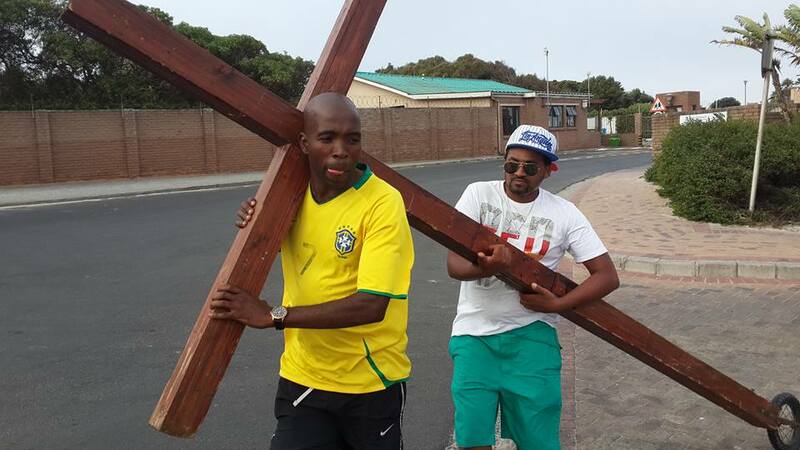 The guy with the yellow t-shirt wanted to walk with the cross a bit. Some came to me and saying these people are just mocking with you and the cross. Holy Spirit said no they are not to me and i must allow him to carry the cross. He had a few drinks and the fellow with the white shirt also had way to much. David with the yellow t-shirt started carrying the cross with man with the shades helping them. Off we went with the cheer of the crowd. We started walking down the road and God touched David in a very special way. 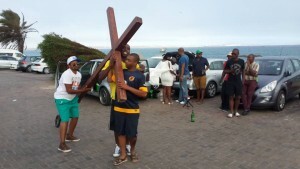 Then the man with the shades also wanted to carry the cross. i has to help them to stay on the road……………………when i took over from them man with shades was sober and David as well as we were having normal conversation. Man with shades said when he carried the cross he knew and felt what it must have been like for Jesus to carry the cross for his sins. David said the same and said God touched him while walking with the cross and it was very special for him. David took my details and said he want to contact me for council as he needs direction in his live. is Jesus Christ the resurrected One in your heart?